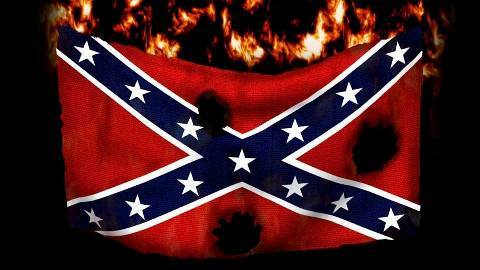 A local contingent of the national "Black Lives Matter" movement will be protesting Friday morning at an Elk Grove gun shop that decided to fly the Confederate Flag in the aftermath of the South Carolina killings. The protest will take place at Wild Bill's Old West Trading Company on East Stockton Boulevard and Grant Line Road in Elk Grove. The BLM is protesting the establishment's decision to fly the Confederate Flag in a show of support following many retail and government entities decision to either discontinue sales or removal of the flag. Nationally, the removal of the flag has occurred following the killing of nine people in a Black church in Charleston, SC. In media reports shop owner Jacob Shockley said the decision to fly the flag was a free speech matter and not meant as a racist statement. "We don't want to be a puppet of the government," Shockley told News 10. "The government can't tell us what to do." In a press release organizers said "BLM activists and supporters from Sacramento and surrounding areas have said 'there is no room in this area to allow the flying of that southern racist flag.'" According to organizers, about 50 people are expected to show up for the protest. More information on the protest is available on Facebook. Elk Grove is living up to its hick country boy reputation. Stars and Bars, truck pulls, gun shops, tobacco stores, beer caves, shooting ranges. Why Mr. Shockley would think that would be a good idea is beyond me. I agree with BLM, there as no room in this country for free speech. We should stifle any opinion that is different from our own. Flying that flag is in poor taste. Doesn't mean he doesn't have the right to fly it on his private property. It does however indicate that some in Elk Grove have a lot of growing up to do. This regretably does show our hick side and the fact that some of us here in EG are less tolerant of forward thinking, compassion and equality for our fellow man. That said, it is also a person's right to peacefully protest the flying of that flag. For many it is a reminder of slavery, segregation and all of that that goes with our nation's history of man's inhumanity to his fellow man and those past and current generations that suffered because of it. I can say I will not shop At Wild Bill's in the future because of his exercise of his right to fly that flag. I always enjoy reading comments by people who have a psychological need to parent others who " have a lot of growing up to do". I love the connection between flying a flag and growing up. Talk about hicks! This is typical for Elk Grove. You are not likely to see this in any other city in the region. The reason? Elk Grove is an unsophisticated enclave run by elected officials who lack any sort of vision to cultivated a culturally rich community. We are stuck with nail salon and tobacco shop strip centers. Where is the heart, where is the soul of this community? The Elk Grove Promenade? I am afraid our leaders live in a cocoon where they can only see what they are told to see. Time to break free of the machine that taps any vision they might have. I believe a mayor is in a position to powerfully influence the expression of culture within our city. Those efforts are investments in livability, investments in where people want to live, work and play. Culture can have economic benefits too. But what exactly is culture? "I" think it has many different meanings... heritage, assets,tourism, diversity, libraries, food and agriculture,arts, sports, educational institutions, talent and neighborhoods. Plus from a business point-of-view, its role in Elk Grove's economy, it plays a hugh part. Soo I ask, Mayor Davis and your cohorts, what do you have to say about bringing this community together as a great CULTURAL COMMUNITY so we can reap some of those economic benefits? The statement that flag makes shows the owner does lack understanding and compassion as Steve L stated. The owner of that gun shop does need to grow up and hopefully come to understand and teach his family that some of the southern principles that led to the civil war have no place being glorified in today's society. I'm behind you Steve L. Your comments were spot on. Anon, if you're going to ridicule someone, perhaps you should have the guts to use your name. Using the anonymous moniker indicates a degree of cowardice, especially true when attacking someone.